Moscato, whose name origin still remains unconfirmed, seems to derive from the word “musk”, due to its typical earthy and musky aroma. Moscato Bianco is a Piedmont signature white grape, responsible for the distinctly superior, lightly fizzy, Moscato d’Asti: the epitome of sweet Moscato grape in its most celebratory form and not to be confused with the slightly inferior Asti Spumante. The Moscato Bianco is considered one of the oldest grapes grown in the lands between Alessandria, Asti and Cuneo and finds records dating back to the fourteenth century. The ideal climatic and environmental conditions of these lands allowed the grape to prosper. 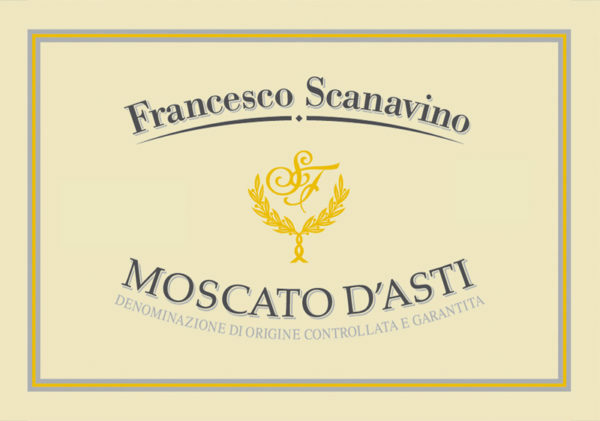 Moscato d’Asti, generally made in tiny batches and in limited quantities, was a wine that winemakers made for themselves and thanks to the low-alcohol content, it was drunk at noontime meals without slow down the winemaker or his workers. 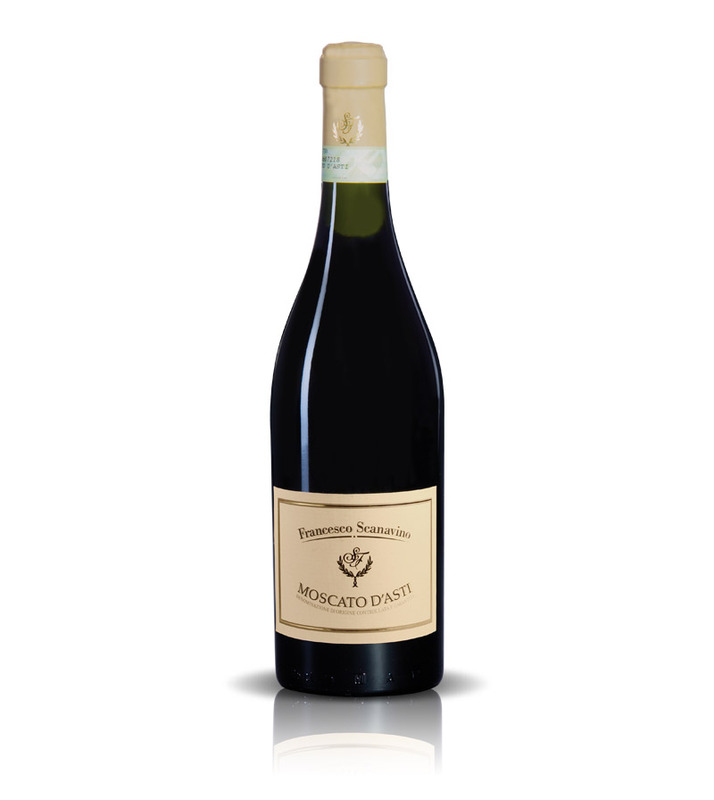 At the end of the workday, the Piemontese tradition of long, multi-course evening meals, gave Moscato d’Asti the purpose of a digestif , that cleansed the palate and stimulated it for dessert. 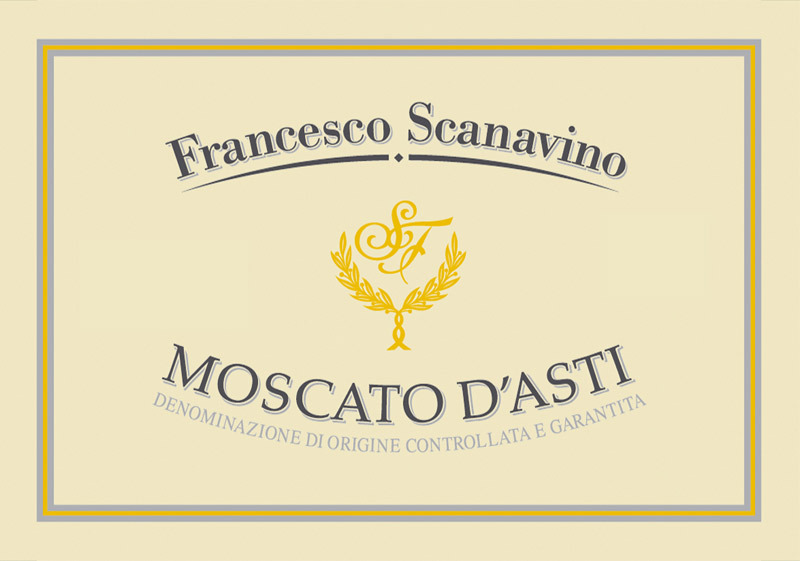 The Moscato d’Asti from Scanavino’s family is made from selected grapes grown on sun-blessed hills surrounding the small town of Canelli, and was mentioned in some historical documents as Muscatellum vinum, Labelled with the highest quality certification (DOCG), it is delicate and gorgeously fruity, particularly low in alcohol (by law not more than 5.5% abv), which made it highly desirable amongst Italian wine connoisseurs. Moscato d’Asti should be served well chilled, generally in regular wineglasses rather than flutes and drunk while still young, soon after release, although it keeps well for a few years. This is the perfect party wine, an ideal match for almost every dessert and it can amaze and delight guests after a rich dinner. Food Match: this is an excellent dessert wine pairing perfectly with almost all desserts, cakes and pastries. As wine pairing though is all about balance, we also recommend it with strong cheeses, like gorgonzola or a vintage stilton, or even spicy food, particularly Indian. Served cold to enhance its acidity and reduce the sweetness, it will deliver the perfect match. Avoid with foods that finish on a bitter or alcoholic note, like tiramisu’ or chocolate-based desserts.